One of the key aspects of a marketing strategy is what’s known as your USP, your unique selling point or proposal. This is the quality that you have that no-one else in your niche possesses, what makes you stand out to potential customers as being special. Going green isn’t in itself unique, as many businesses use their ecological credentials to promote themselves. But you could be the first green dog-walker in your area or the first green hairdresser for example. Environmental concerns are one of the most constant themes in life all around the world, so demonstrating a sincere commitment to being ecologically sound demonstrates that you are a caring, responsible business that is concerned with more than just making a quick buck. This is a powerful message to give out about yourself and thus is ideal for marketing purposes. How would you go green as a small business? There are elements of most businesses that will have an impact on the environment, so whatever you do there are bound to be ways to make your operation more environmentally friendly. The dog walker could use biodegradable plastic bags or a non-plastic alternative. The hairdresser could use recyclable bottles, and plant-based products rather than chemicals, and taxi driver could use an electric or hybrid vehicle. The more complex your business, the more opportunities there are to find green alternatives to standard practices. There are some excellent resources online that can help you make these changes and provide plenty of other ideas too. 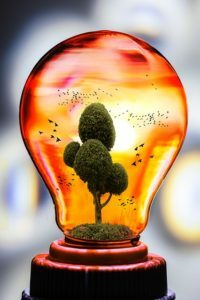 Helping businesses go green is a growth area in itself, but before you follow any advice make sure it comes from a reputable source and is written with authority by people who know what they’re talking about. If you’re in a position where you can make changes to your building, you could consider the benefits of installing solar panels or air/ground source heat pump for your energy requirements. If you’re restricted by your lease or rental agreement speak to the landlord about your ideas, as they might be willing to invest in green technologies in their buildings. Making a major change can be a very useful news item for your marketing, and you can use it to publicize yourself on your website and social media. You can also make it a local news story for TV and newspaper coverage, which are brilliant resources to exploit for free publicity. It’s not enough to simply install your environmentally sound improvements and rest on your laurels. You also need to understand what the point is of making these efforts, and how they will contribute to the health of the environment. If you don’t know how green technologies work, you run the risk of giving an impression that your changes are purely for the sake of public relations, and you’re not committed to the cause. Ideally, you should be able to talk knowledgeably and confidently about the changes you’ve made, and why. Take your solar panels for example; you gain a lot of attention for your project in the local media, which is great; however, you also need to be prepared for questions like how do solar panels work? and how does air make hot water in a heat pump? Making an effort to learn how your new systems work and why they’re important will show that you are taking the problem of environmental impact seriously, and making efforts to change how your business uses the planet’s resources. You’ll often find that people and businesses who operate environmentally friendly policies often incorporate ethical considerations into their business model as well. For example, ensuring that workers are paid a decent wage for manufacturing; using Fair Trade products; only using products that have not been tested on animals. There are many moral and ethical issues that sit well alongside a positive stance on environmental concerns, so it makes sense to get on board with ethics as part of your caring and responsible persona. All the publicity you generate will work in your favor to get you noticed more widely and can be added to your business website and social media pages to demonstrate that you take all such issues seriously. It’s important for your staff to be on board with what you’re trying to achieve, so involve them in the process and keep them informed as much as possible. They may well have their own contributions to make and some good ideas or be able to spot potential problems that could arise. Involving your team will ensure they have an interest in these activities, and you will need them to be engaged with what you’re doing as they will have an influence on the success of your plans. Any changes you can make will be beneficial to the planet, which is of primary importance, but you will also be generating new opportunities to get you noticed more and raise your profile. This means you should get a return on your investment by attracting new customers with your environmentally sound business. By embracing the green movement, you will be doing your bit to care for the world, whilst also being able to take advantage of the efforts you’re making to increase awareness of your business, and its core purpose. P.S: Was this article helpful for you? Please add your comments below. 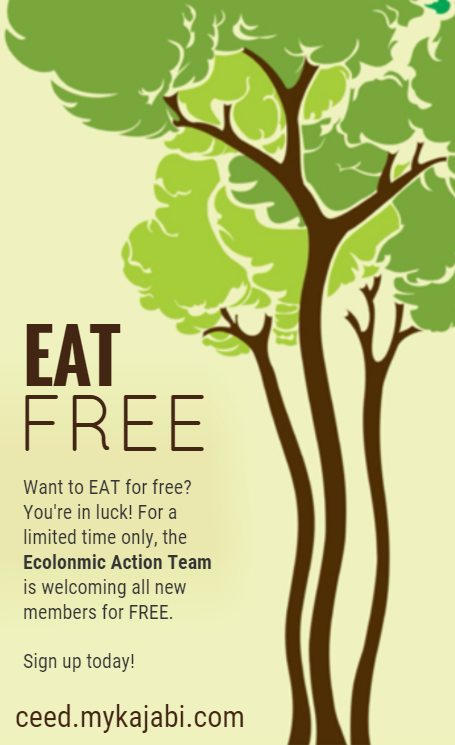 Also, for more learning opportunities, join our EAT FREE Community, where you can make some money, making the planet better.